A photograph of the Mill in West Blatchington, near Brighton, Sussex, c.1930. The mill in West Blatchington is a six-sided ‘smock’ mill built in around 1820. It worked until 1897 when the sails were reportedly damaged in a storm. It was purchased in 1937 by the Hove Council and the mill restored. It is now open to the public on Sunday afternoons between May and September. It is located in the village of West Blatchington, near Brighton, in Sussex, England. 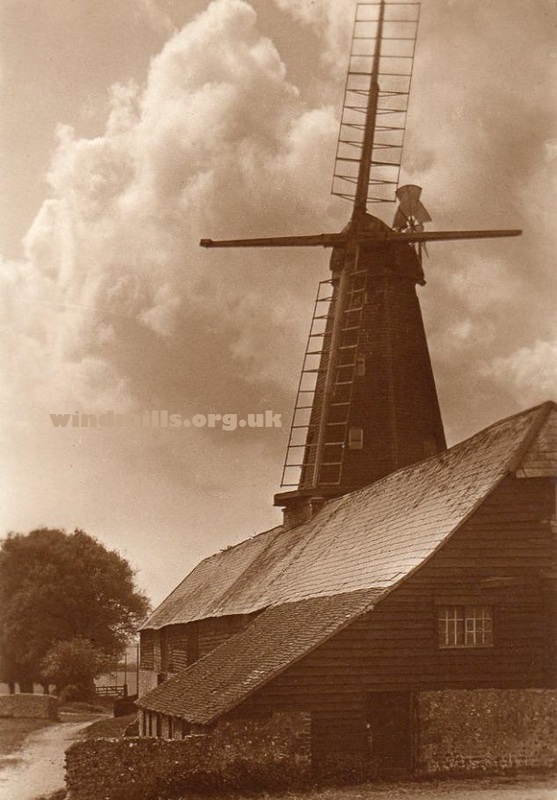 This entry was posted in Old Images, Windmills and tagged Brighton, mill, sussex, West Blatchington, windmill on January 12, 2016 by Tower Mill.